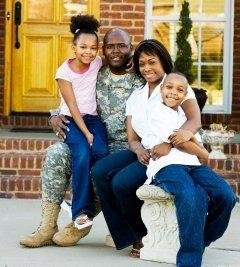 I've been watching the news lately regarding President Obama's call to support military-families. This support is needed! The military lifestyle affects more than the soldier, sailor, marine, or airman. I am certainly glad to see our leaders acknowledging the family! But, I also feel that government agencies aren't the only forms, maybe even not the best forms, of support out there. The best support I have found through the years of military-living is from my family, my neighbors, other moms, other military families. People. I find support in people. ... and that is just scratching the surface! It is not 'government'. It is People. Where are your walls of support? What group do you rely on? Who do you turn to when your walls are crumbling? Ask questions when you aren't sure which way to go? Know that you can find the information you are looking for?